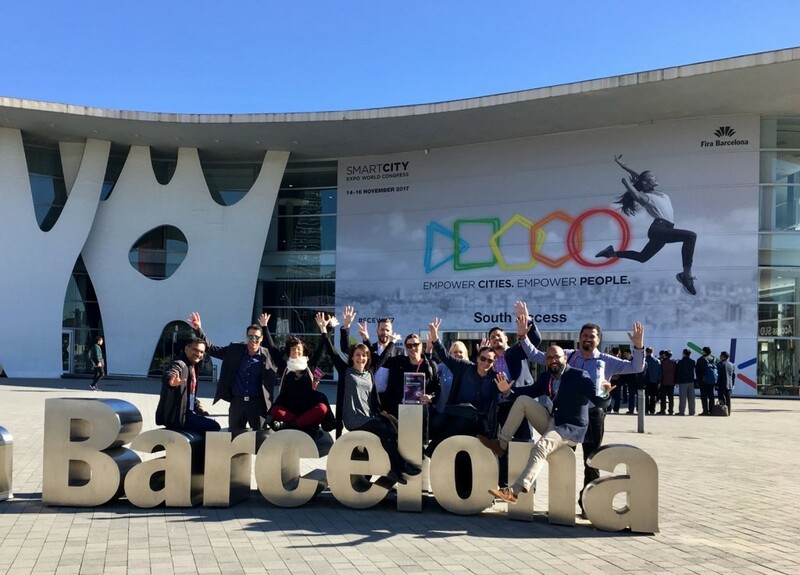 Prior to the bilateral meetings, Hanoi and Milan and Belfast representatives participated at the World Cities mid-term conference in Barcelona on Monday 13 November 2017. This included participation at the Smart City Expo in Barcelona on Tuesday 14 November 2017. 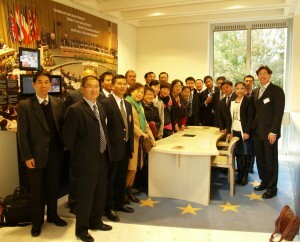 The visit started with an institutional reception by the Deputy Mayor for Mobility and Environment, where Mr. Cuong, head of the Hanoi delegation announced his intention to learn and deepen Milan’s sustainable mobility plan in the light of evaluating possible replicable models and schemes to be implemented in Hanoi (possibly with adjustments according to the Hanoi reality). 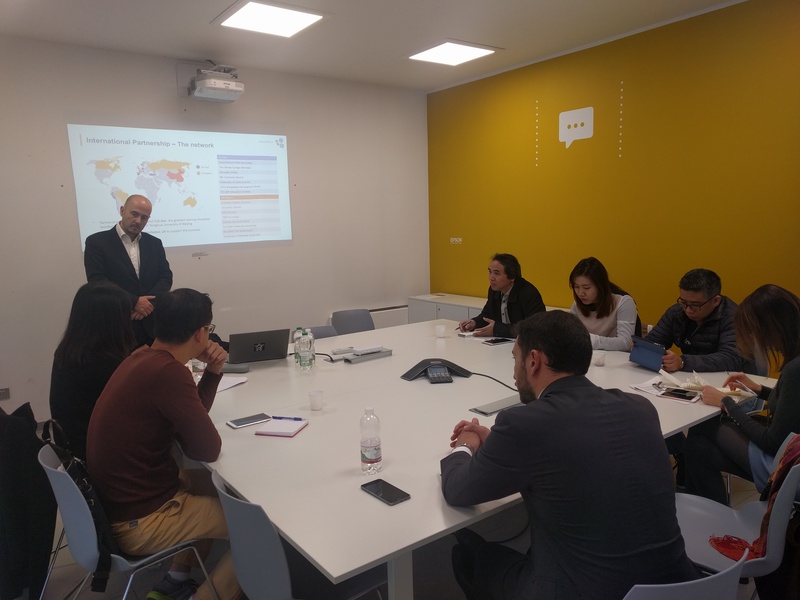 After the Milan’s delegation visited Hanoi in June 2017, the Hanoi’s delegation had the chance to study the mobility packet in Milan. On Thursday morning the delegation had a presentation on the metro line that is being built (M4) and was very much interested into the business model (different level of public engagement, procurement patterns, investments, etc etc). The construction of the M4 is a state-of-the art example of the environmental sustainability of the building site itself. Milan can boost the 6th Metro system in Europe, with 118 km and 136 stations. 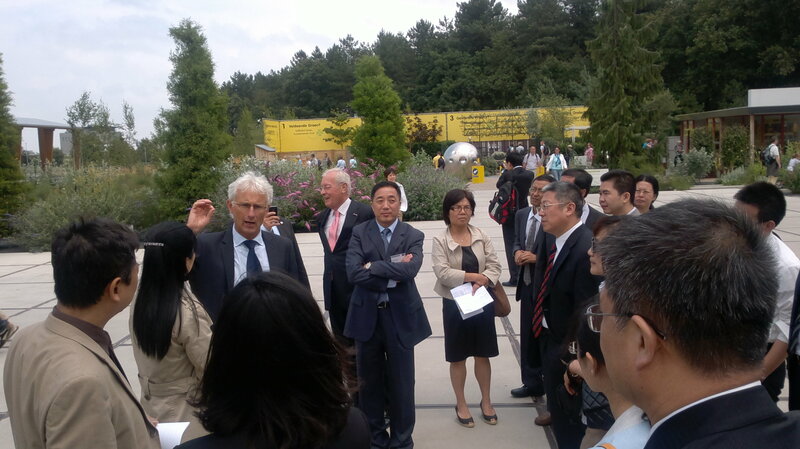 The delegation was very much interested into the process of the international bid, the engineering companies charged with the construction and the municipal company (ATM) that manages the operations of the metro lines, into the whole cost of the construction (almost 2 billion euros), into the ticketing system and into the process of construction and potential conflicts with citizens due to the numerous big building sites scattered through the city for approximately 5 years. Moreover, one of the most pressing issue in Hanoi is the high number of motorized vehicles, especially two-wheelers (+4 Mio registered) that funnel into winding streets and narrow alleyways. On the contrary, before Vietnam opened its economy to the world – approximately two decades ago – riding bicycles was normal. 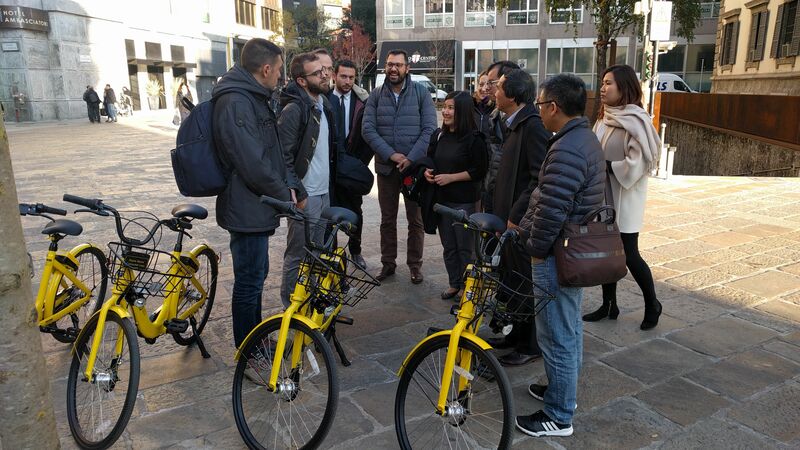 This is why the Hanoi delegation looked with great interest at the various models of bike sharing that the Municipality of Milan has promoted and implemented in the last 9 years (BikeMi dates back to 2008). The Hanoi delegation was very interested in understanding the various business and operating models. 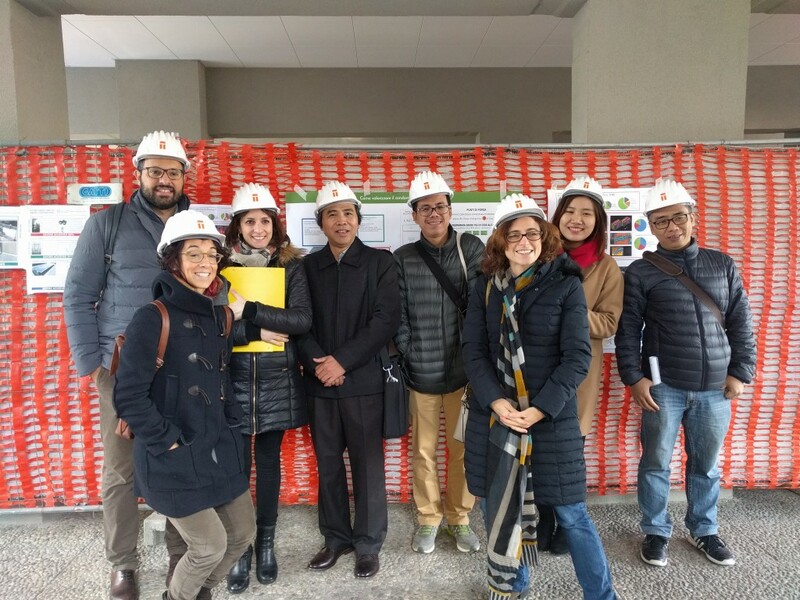 Moreover, the Hanoi delegation had the chance to visit the following control centres: traffic lights and cameras (managed by the Local Police), surface means of transport and metro lines – included the special control centre of the new driverless metro line (M5). 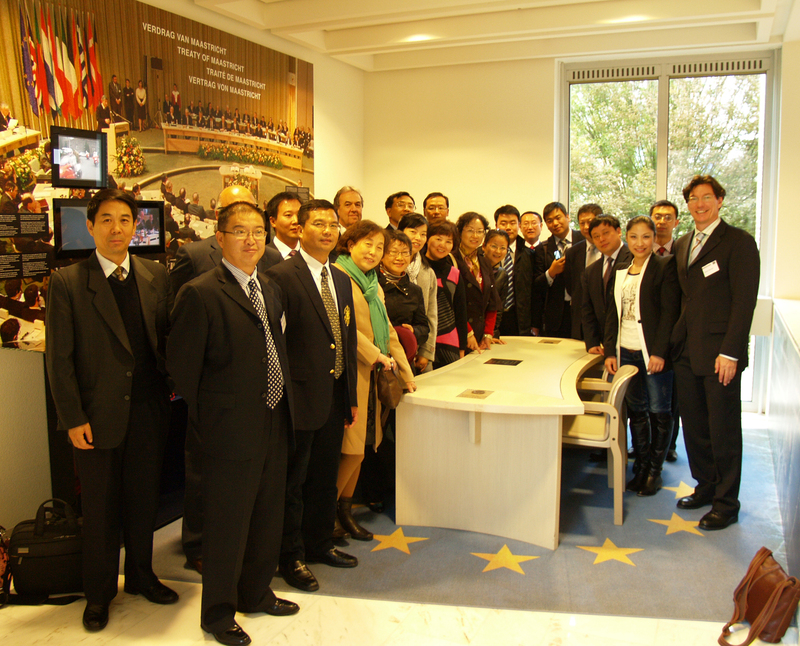 The Hanoi delegation asked about the functioning and organization and operational activities of the entire control systems. 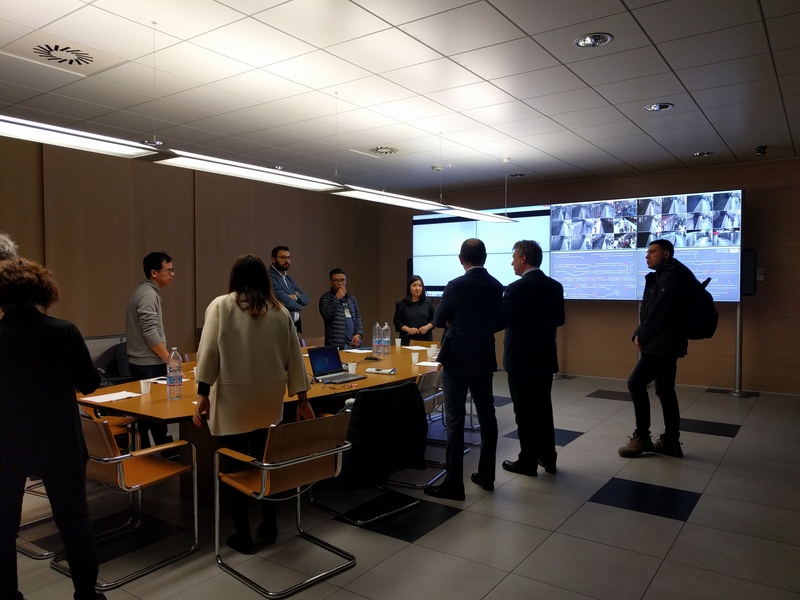 Last visit of Thursday was the Fashion Technology Accelerator: this model stems from the Silicon Valley and was replicated both in Seoul and Milan. It fosters digital and technology innovation in Fashion, Luxury and Retail industry. Moreover, it also helps large corporations in retail, luxury and apparel in need of innovation and new technologies. Out of all field visits, this seemed to be the one with less appeals and margin of further deepening. Friday morning, extensive time was devoted to the PoliHub, a business incubator for start-ups with high technological content. The PoliHub has supported more than 20 start-ups in one year: these companies are conveyor of innovative ideas, but they are also considered as an engine to create new job opportunities. The PoliHub is highly committed in promoting connections between start-ups and other businesses, investors, international organizations and universities. NB Hanoi has launched a portal for start-ups to connect with investors, businesses and corporates, in order to facilitate start-ups in their search for capital and extend their activities. Furthermore, PoliHub helps start-ups to find funding (mainly public funds, from EU or Region of Lombardy). 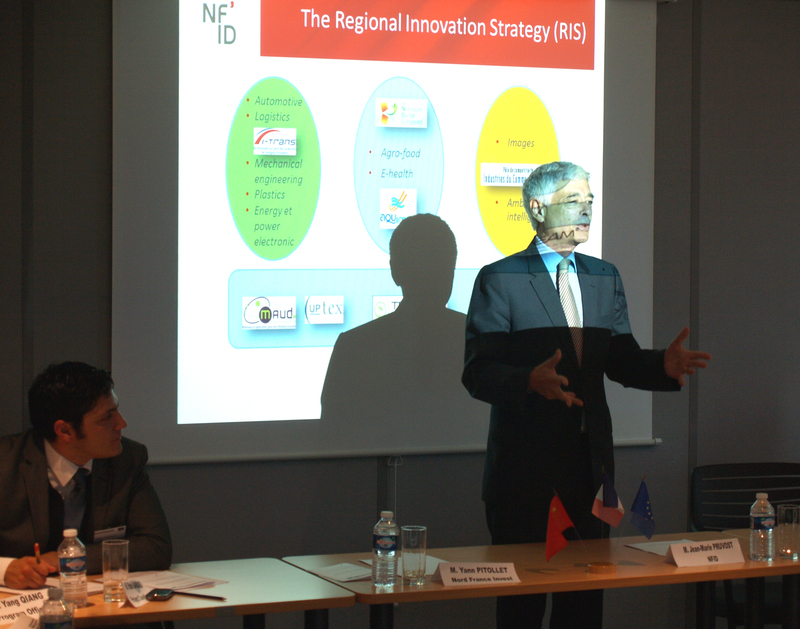 PoliHub is interested in extending its own network of “affiliated incubators”. The Hanoi delegation had then the chance to learn about the EU funded project, Sharing Cities. By fostering international collaboration between industry and cities, the project seeks to develop affordable, integrated, commercial-scale smart city solutions with a high market potential. 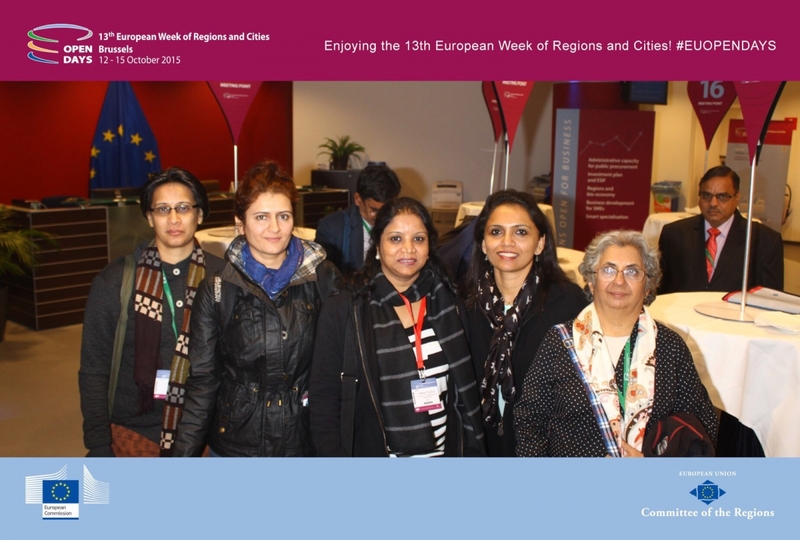 The project partners work in close cooperation with the European Innovation Partnership on Smart Cities and Communities and with other `lighthouse` consortia. 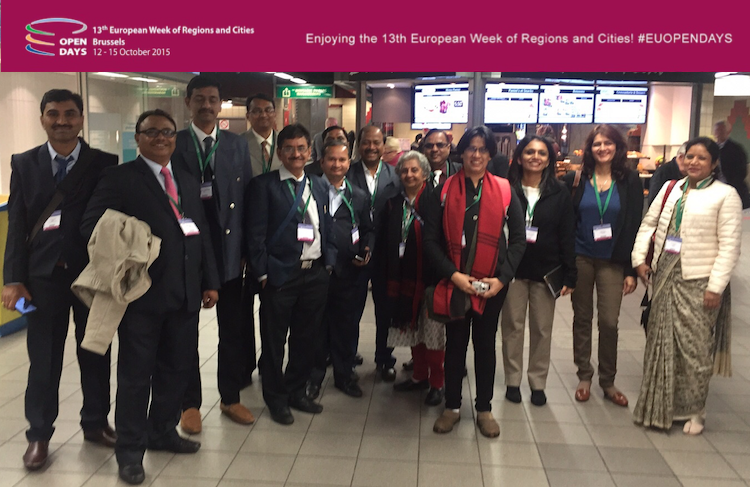 Sharing Cities offers a framework for citizen engagement and collaboration at local level, thereby strengthening trust between cities and citizens. The project draws on €24 million in EU funding. 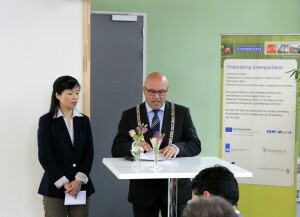 It aims to trigger €500 million in investment and to engage over 100 municipalities across Europe. 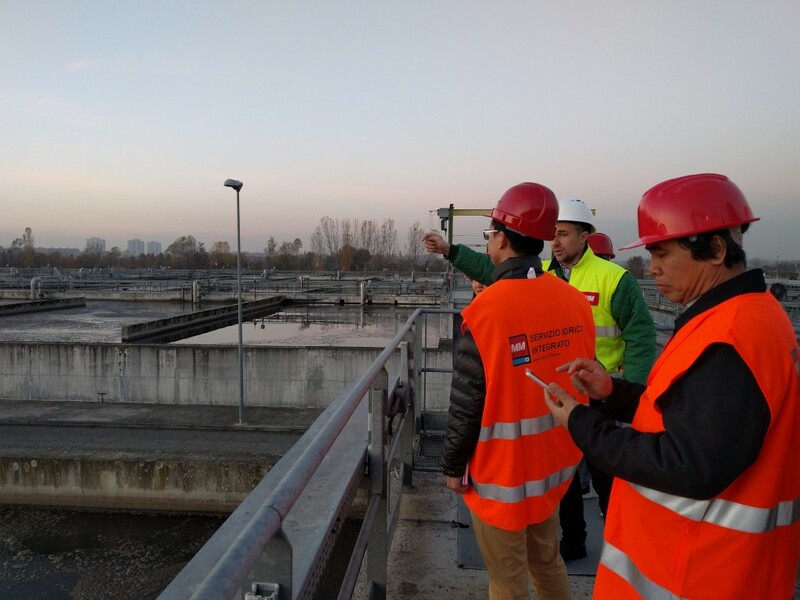 The Hanoi delegation had the chance to “touch with their hands” the first interventions carried out on buildings for retrofit and energy efficiency. Eventually, the Hanoi delegates visited the Water-treatment plant managed by the Municipal Company MM. Hanoi look with great interest at the plant and listed with great attention at the various presentation on the business and management model, on the structure and functioning of the plant (subdivided into various steps for water purification) and particularly in the Geographical Information Systems, a tool collects all data about the system and network and which is functional for improving customer-to-customer relationship management with spatial analysis and a more efficient and effective management of the Integrated City Water Service. The experiences that generated most interest and that shall be taken into consideration on the occasion of the next meeting and in the light of establishing concrete forms of cooperation are indeed the PoliHub as there seems to be mutual interest in finding forms of connection, the bike-sharing models and schemes and the companies involved in the implementation of the service (specifically Ofo and MoBike), support by the officers of the Mobility Dpt of the Municipality of Milan and the Municipal Transport company to provide assistance for the improvement of traffic and road control centres. Indeed, also the contact with MM, in the light of finding forms of cooperation to improve the existing water treatment plant in Hanoi is desirable. For this reason, on the occasion of the next trip to Hanoi, the involvement of representatives of the above mentioned companies in the mission to Vietnam.